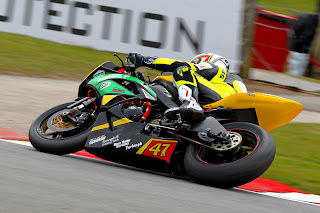 Dundrods Robert Kennedy was out of luck at todays Third round of the Pirelli National 600 Superstock race at Oulton Park. Entering the Britten chicane on lap one, the luckless Dundrod rider got taken out by a fellow competitor, thus bringing his race to a premature end. On board the Sandown Racing Kawasaki, Kennedy acquitted himself well with the adulations of the Chesire circuit. After Free Practice One on Saturday, Robert was seventh place, moving up to fifth place after Free Practice Two. In the solitary qualifying, Kennedy went quicker again, and put himself in fifth place on the grid. The top five riders were covered by less than half a second. Following practice and qualifying, Kennedy was confident of a podium position come race day! 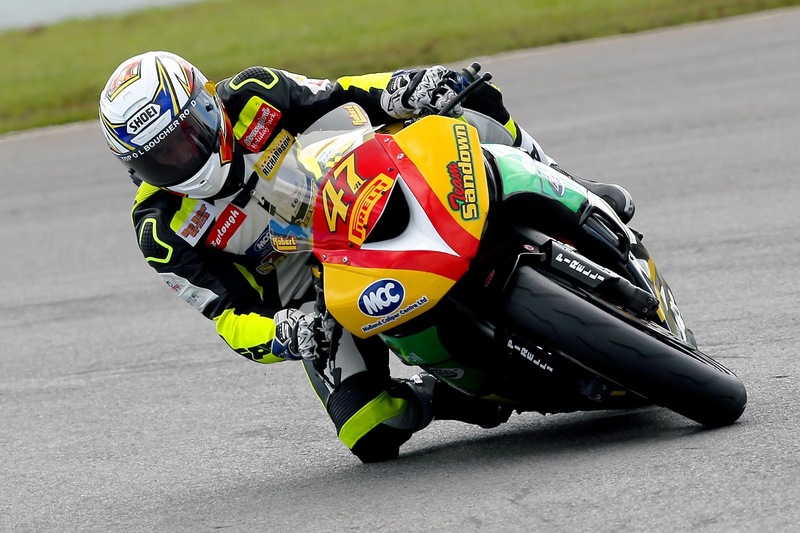 Overnight rain left the circuit wet for the 600 superstock warm up, which saw Robert 7th quickest. Thankfully, the circuit had dried out prior to Roberts’s race, following a decent start, Robert was just minding his own business as he tipped in for the Britten Chicane, when he got wiped out by a fellow competitor. Thankfully, no injuries, but for a weekend that promised so much, but delivered so little! Team Sandown Racing will now head to Donington Park, for the next round of the championship, which takes place alongside the World Superbike Championships!